Phantom of the Opera is Broadway's longest running musical! Book your tickets for the musical of musicals in New York from home and get ready for a musical experience you'll never forget! Phantom of the Opera is based on a classic French thriller about a deformed composer, who haunts the Paris Opera House. The lonely, romantic ghost tutors and composes operas for Christine, a gorgeous young soprano star-to-be. As Christine’s star rises, and a handsome suitor from her past enters the picture, the Phantom grows mad, terrorizing the opera house owners and company with his murderous ways. Still, Christine finds herself drawn to the mystery man. Did you know this about Phantom of the Opera? The Phantom of the Opera is a musical phenomenon with some of the most extravagant settings, costumes and special effects ever used on a stage. 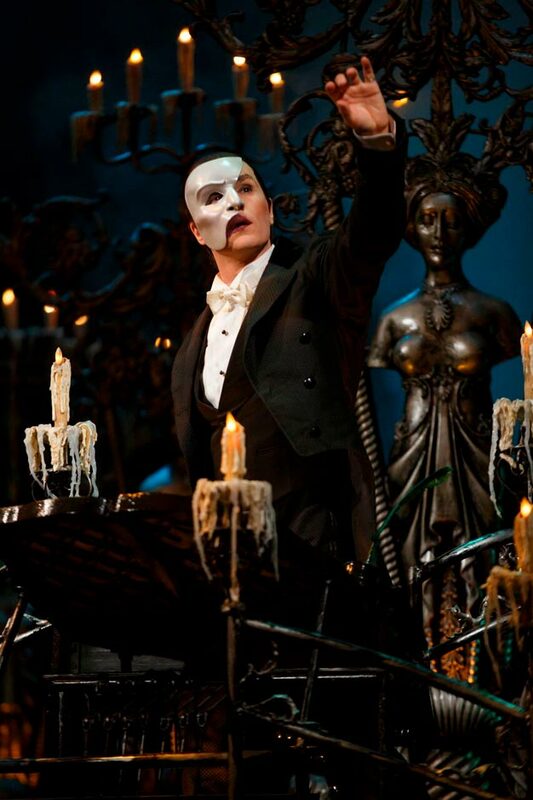 Around the world, the Phantom of the Opera has been shown in over 90 cities and won more than 50 theater awards, including seven 1988 Tony Awards, one of which was for Best Musical. Phantom of the Opera is for most people, both frequent musical guests and first timers. The musical isn't suitable for young children as certain scenes are scary, it is after all about the Phantom of the Opera. It's recommended for children from age 10. Children under age 5 will not be permitted to the theater. The Phantom of the Opera lasts approx. 2 hours and 30 minutes, including intermission. The world-famous English composer Andrew Lloyd Webber is behind this musical production. Harold Prince directs and Cameron Mackintosh produces.